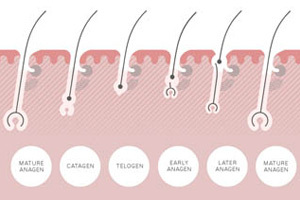 Your baby is born with a specific number of hair follicles, which determines how much hair they will have throughout their life. It also determines whether their hair will be fine, medium, coarse, straight or curly. Many babies are born with barely any noticeable hair, while others have quite a lot. If your baby is born without hair, don’t worry. His or her hair will grow eventually. The time it takes varies enormously - hair growth is as individual as walking, talking and becoming potty-trained. A newborn baby’s scalp isn’t fully formed. At the top of their head (the crown) the skull bones haven’t completely come together. This means that there is a soft spot or indentation (fontanelle). Many mothers are afraid to wash their babies’ hair for fear of injury, but your baby’s scalp should be bathed along with the rest of his or her body. In the first 4 weeks, simply rinsing your baby’s hair with warm water is fine. This is particularly useful as newborns often hate being washed! However, as your baby gets older, and their hair begins to grow, a little shampoo will help to cleanse more effectively. Wet your baby’s hair thoroughly and carefully. A good idea is to use a plastic bowl as the noise and speed of a shower can be quite scary. Pour a little shampoo between your hands and smooth over your baby’s hair and scalp. Lather the shampoo with a very gentle motion, taking care around the soft area at the front. This is also a good opportunity to wash behind their ears. Always support your baby, leaning them back to avoid shampoo getting in their eyes. Rinse with fresh water from the tap, rather than bath water, to ensure a thorough clean. Baby towels often have a hood attached that can be used to gently blot your baby’s hair. Don’t rub – a baby’s hair is fine and delicate and vulnerable to damage. Also, never blow-dry a baby’s hair, as babies’ skin is much more sensitive than an adults and can be easily burnt. Their hair also dries very fast on its own. Frequent bathing is not recommended during the first few weeks of life, as this can upset the delicate balance of your baby's skin flora. But many parents like to establish a bedtime routine as their baby gets older, and this usually includes a bath. Getting your baby used to daily shampooing may also help avoid battles over hair washing later on. It’s safe to shampoo your baby’s hair every day as long as you use a mild shampoo like PK Kids. Daily washing also helps to discourage the formation of cradle cap. Cradle cap is the infant form of an adult scalp condition, pityriasis amiantacea. It most commonly occurs in babies up to 3 months old and rarely persists beyond 6 months. Cradle cap is not harmful in itself, but it may be uncomfortable for your baby, and any associated scratching could lead to infection. Daily shampooing may help to prevent cradle cap because it regularly removes dead skin cells from the surface of the scalp. You may also want to check the milk formula you are feeding your baby. Scientific studies suggest that some types of milk can cause cradle cap. If your baby has cradle cap, a little warmed olive oil can be gently dabbed onto the affected area with a cotton wool ball. Please be careful to make sure the oil is luke warm and not hot. Leave on for 5-10 minutes and dab your baby’s scalp with baby shampoo, or your own shampoo diluted (1 part in 5). Rub his or her scalp gently with the palms of your hands, then rinse off by ladling warm water from your palms to his or her head. The number of times you do this depends on how much cradle flaking there is. You will need to do it every few days if the cradle cap is very congealed. If any hairs are lost with the flakes, don’t worry - it will all regrow. It’s not necessary to condition your baby’s hair when it’s relatively fine and fluffy. But once their hair starts to grow longer and thicker, apply a little conditioner to help keep it in its best condition. 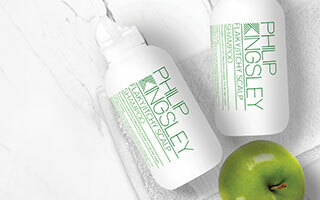 The Philip Kingsley ‘No Scent, No Colour’ conditioner is an excellent choice, as it’s very mild and kind to sensitive skin. Establishing a good hair care routine early on will help your child form healthy hair habits. Once children start school, and other siblings potentially arrive, time may be short, but ideally your children’s hair should be washed at least 2-3 times per week and always after sport - especially swimming. We suggest adults wash daily, but this just isn’t realistic for children. Children often hate having their hair washed because water and shampoo get into their eyes. However, we’ve found that if you make it into a game, hair washing can be a fun activity. One tried and tested method is to give your child a face cloth to hold over his or her eyes and ask them to guess where you’re going to touch their head first. Or where the water will be felt – a bit like blind man’s bluff. Use of bath-time toys and stories can also be helpful. De-tangle long hair with a wide-tooth comb prior to washing. If you start off with tangles, you’re likely to end up with more. If you don’t have a comb handy, use a brush with widely-spaced, plastic prongs. These are better for the hair than bristle and don’t pull as much. Start near the bottom of your child’s hair and work up to the roots. Do this until the hair can be combed/brushed from root to tip without hitting any tangles. If your child’s hair is exceptionally knotty, you can comb through first with a bit of conditioner or a detangling spray. Children up to 3 years old should have their hair washed with a baby shampoo or a diluted version of your own shampoo. Thoroughly wet your child’s hair before applying shampoo. This creates good lather and also means less shampoo is needed. Squeeze a quantity of shampoo about the size of a fifty-pence piece (or a quarter) between your hands and smooth this over their hair. Lather using both hands in a gentle kneading motion, working from forehead to nape. Don’t pile long hair up on top of your child’s head. This can lead to knots and time-consuming and uncomfortable de-tangling later on. Simply allow the lather to run down and rinse thoroughly. Apply conditioner to the mid-lengths and ends of your child’s hair. A little is all that’s needed. Conditioner should be rinsed out, but your child’s hair should still feel a little slippery afterwards. Gently squeeze excess moisture out with a towel - never rub. Rubbing can cause hair breakage and tangles. We suggest you gently comb through with a comb rather than a brush, starting at the tips and working up towards the roots. Wet hair is more vulnerable to damage and combs are gentler on your child’s hair and won’t pull as much. Ideally your child’s hair should be left to dry naturally. If you do blow-dry, use a low heat setting and hold the dryer at least 15cm away from their hair. A child’s skin and scalp are very sensitive to heat. 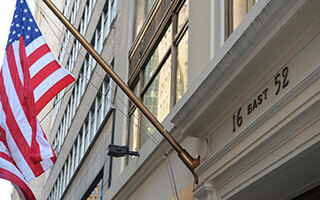 If you would like more information, our clinics based in London and New York specialise in hair and scalp health.